Boggle is a word search game that uses lettered dice to create words on a 4 by 4 grid board. The object of the game is to find as many connected words as you possibly can in just three minutes and get the highest score. Longer words earn higher scores than short words. 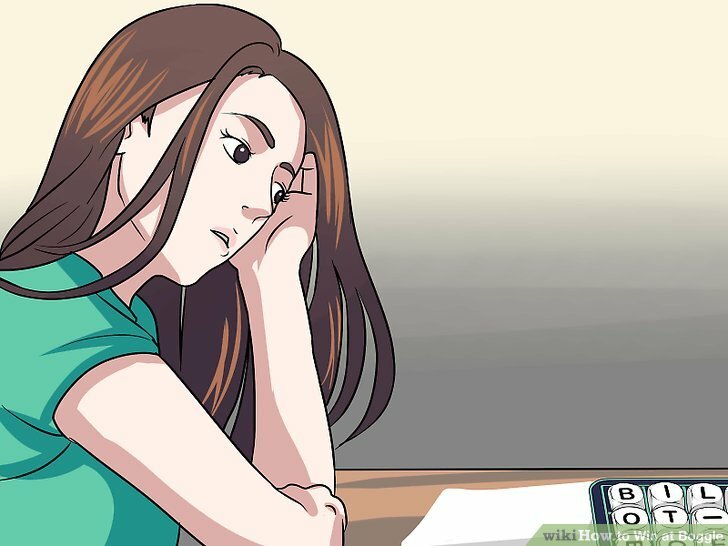 You can improve your chances of winning Boggle by using strategies for higher scores and by keeping calm while you play the game. If you are new to the game, becoming more familiar with some of the key rules may also improve your chances of winning. 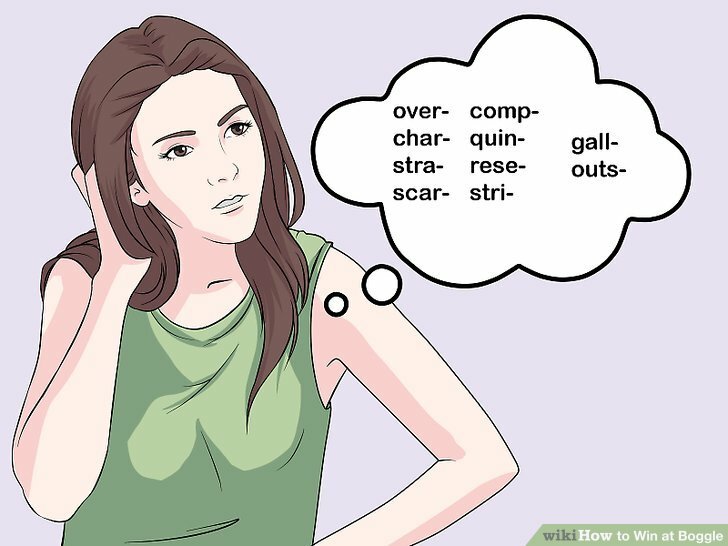 Watch for word endings that may give you a higher score. Plurals and words that end in -er, -ed, or –ing are good score boosters. Watch for these variations of words that you find. You won’t always find them, but when you do you will increase your score. Split long words into smaller ones. 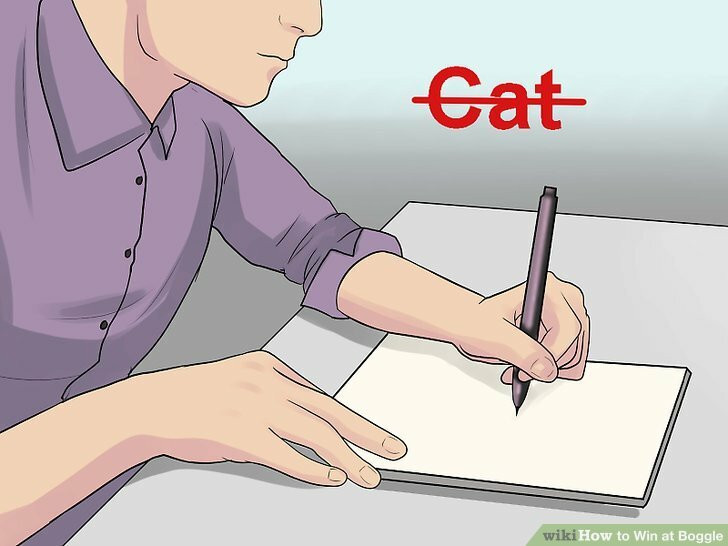 If you find a long word, make sure that you also break it into its smaller components to maximize your points. 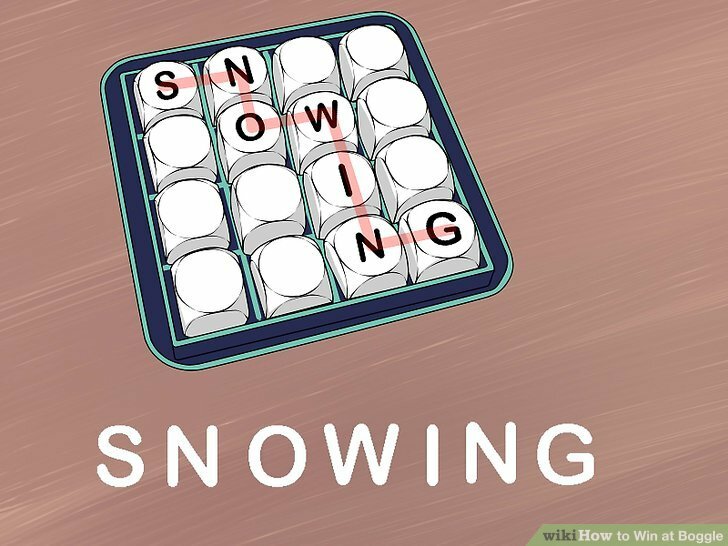 For example, if you find the word “snowing,” then you should also add snow, now, wing, owing, and win to your list. Sometimes words make other words when they are spelled backwards. 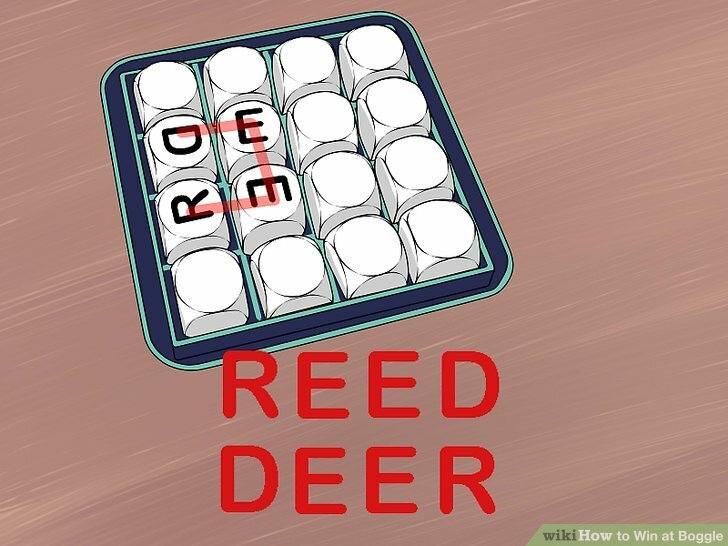 For example, the word “reed” can be turned into “deer” when you spell it backwards. Check your words for reversibility as you record them and write down any reversals that you find. Memorize the most common Boggle word beginnings. Although you may be tempted to watch the timer or keep checking it to see how much time is left, resist this urge. 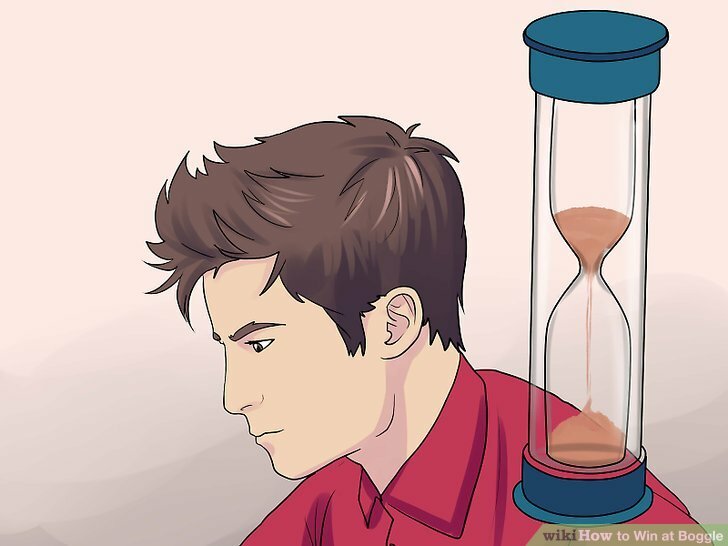 If you are always watching the timer, then you will lose precious time that you could be looking for words. Do your best to ignore the timer and just focus on the Boggle board. If you are flustered, then it will be harder to find words. Try your best to stay calm as you play Boggle. 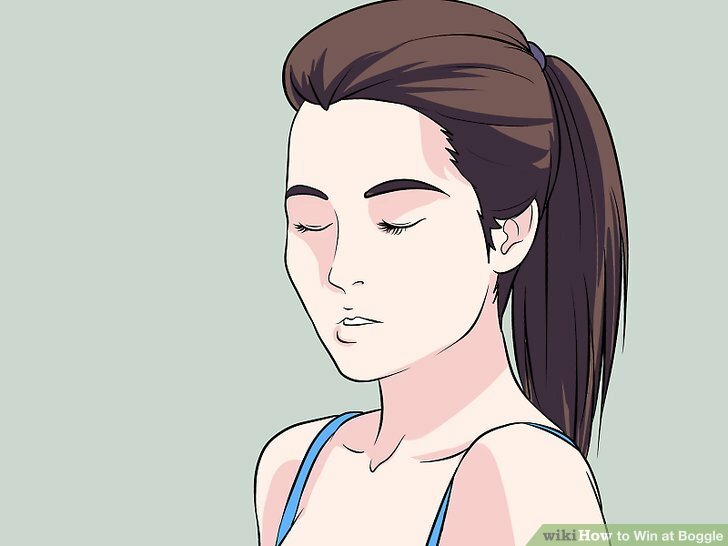 Try taking a deep breath before you begin the game and at any time during the game when you feel overwhelmed or anxious. Remember that you are playing the game to have fun! Try your best to just enjoy yourself and you may find it easier to focus. Sometimes you may want to look for difficult words rather than noticing the words that are right in front of you, but this is a mistake. Don’t censor yourself when you are playing Boggle. 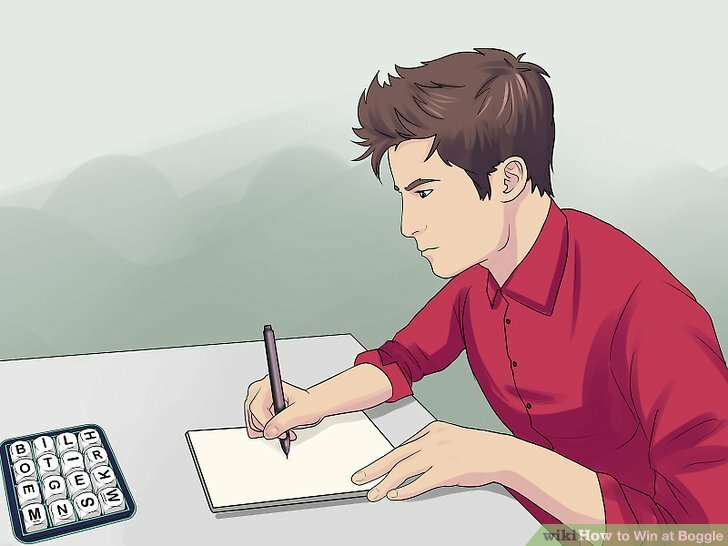 Just write down every word that you notice, even if you are unsure if it is spelled correctly or if it is a real word. Keep looking if you get stumped. Sometimes you won’t see any words right away, but don’t assume that there are no words and give up. They might just be less common or longer words that will take some time to find. Keep looking for words until time is up. Keep in mind that long words get higher scores. 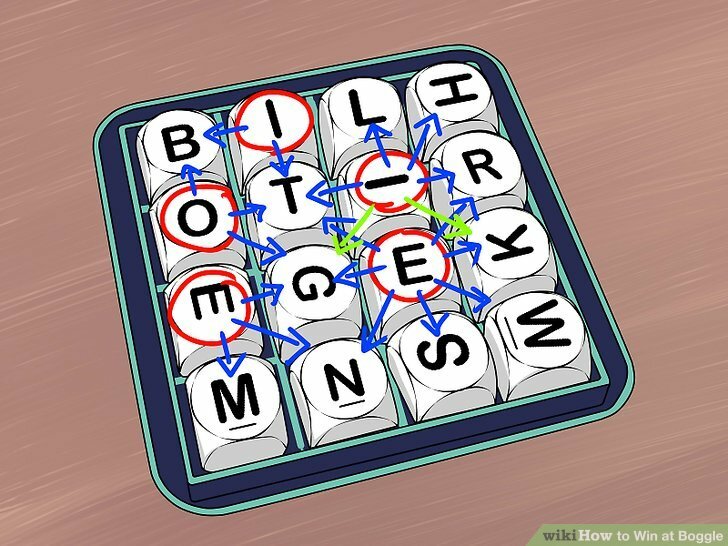 While short words are easier to find in Boggle and you will find more short words than long ones, try to find as many long words as you can. The longer the word, the higher the score. 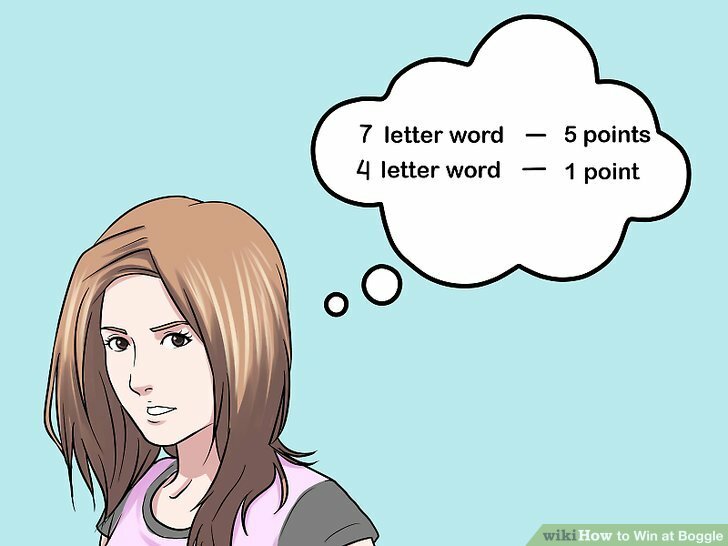 For example, a seven letter word earns 5 points, while a four letter word only earns 1 point. Try to find uncommon words. In Boggle, words that more than one player finds are crossed off and do not count towards your score. Therefore, it is a good idea to look for less common words. 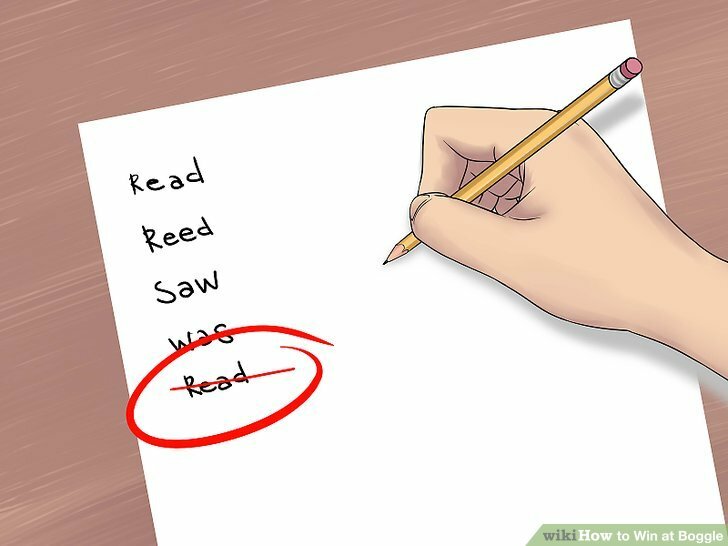 Of course, you should write down any and all words that you find, but uncommon words are more likely to count towards your score in the end. You cannot claim credit for the same word twice, even if it is in two places on the board. Therefore, don’t waste your time writing down duplicate words. Just keep looking for new words and disregard the duplicate words.